First make sure that hidden files and folders are displayed in your installation directory of Total War: Warhammer. Show hidden files and folders: Tips for Windows and Mac. 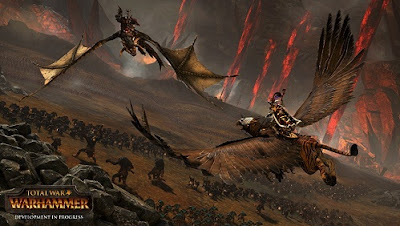 - Search the preferences.script.text in the directory C: \ users \ * username * \ AppData \ Roaming \ the creative assembly \ warhammer \ scripts out. - Open the file with any text editor and look for the following entry: “default_battle_camera_type 0; # default_battle_camera <card32>, default battle camera: 0-totalwar 1-rts 2-debug 3-cinematic 4-arena#”. - Override the entry with: “default_battle_camera_type 2; # default_battle_camera <card32>, default battle camera: 0-totalwar 1-rts 2-debug 3-cinematic 4-arena #”. - Save the file and start the game. - Create a backup or make changes if things don’t go well. A second way to improve the camera in the strategy game with the Better Camera Mod. This you can install simply by clicking on the button Subscribe to Steam workshop. The mod allows you more Zoom and combat action or vice versa wide Zoom for better overview. K: Turns the HUD for more beautiful screenshots. N: Zooming are suppressed without the units. Alt + K: Gives you an even cinematic image on the battlefield. The Better Camera Mod is compatible with all patches and other mods. It does not work in multiplayer, unless the other player has the same Mod also installed.